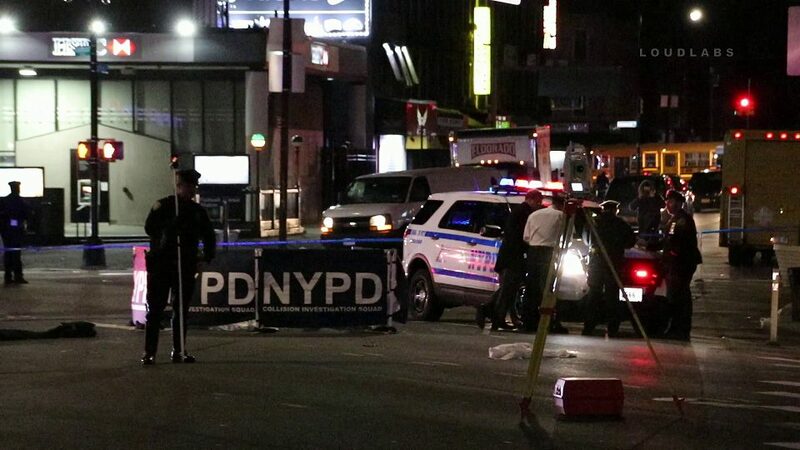 4.3.19 | Fatal Pedestrian Hit & Run Flatbush Junction Brooklyn | By: Matt Rosen | On Wednesday Morning at around 4:45AM, NYPD responded to a 911 call for help where a pedestrian was run over on Flatbush Ave & Nostrand Ave (Flatbush Junction) within the confines of 70PCT. When police responded there was no driver or vehicle on scene where the pedestrian had been struck. Victim was pronounced deceased on the scene by responding EMS. Police promptly put out a citywide notification in search of the vehicle described as a chrome tractor trailer with pipes in the rear on a flat back. Investigation Remains ongoing by the NYPD Collision Investigation Squad.